As a helicopter operator, you’re focused on getting maximum productivity and mission effectiveness from your equipment and personnel while achieving the highest levels of safety. To meet the challenge in today’s operating environment, you need smart technology that shares this same focus. 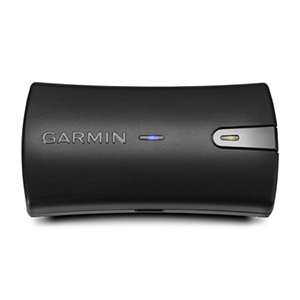 And that’s what Garmin’s GFC 600H flight control system is all about. Its advanced digital automation features include a stability augmentation system (SAS), hover assist, H-ESP technology, automatic LVL mode, Flight Director (FD) command cues and more. Plus, cyclic-mounted controls allow easy engagement of the flight control system and its primary functions without taking a hand off the controls or going “eyes-down” in the cockpit. You can count on GFC 600H to give you a more stable flight platform that serves to significantly reduce inflight workload, fatigue and stress levels — allowing pilots to focus more attention on accomplishing the missions at hand. 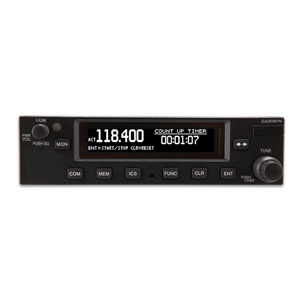 For hand-flying, the FD mode provides pitch and roll cues on a compatible flight display such as Garmin’s G500H and G500H TXi products. Pilots can then use these cues to control the aircraft, following the indicated pitch and roll guidance to maintain a flight path defined by the selected heading, navigation, altitude and airspeed parameters. 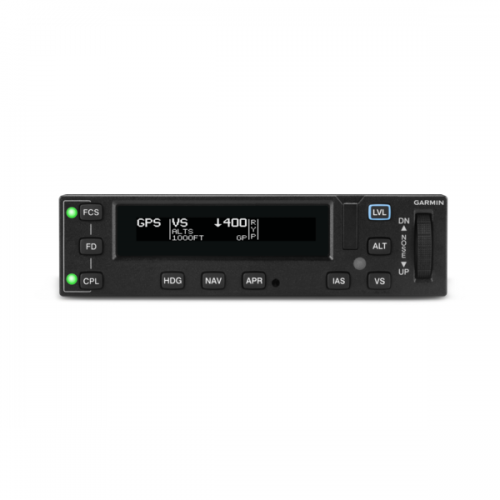 In Coupled (CPL) mode, GFC 600H provides the necessary control inputs to achieve the desired flight path. 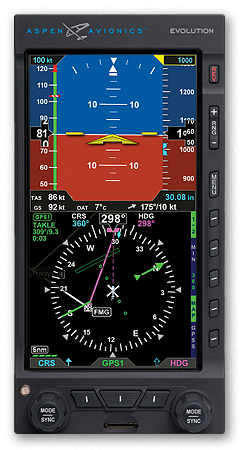 For maneuvers such as search and rescue patterns or visual approaches, the system can use guidance from a compatible WAAS-enabled navigation source — such as Garmin’s GTN™ 750 or GTN 650 series of touchscreen avionics — to automatically fly the helicopter along a desired lateral and vertical flight path. 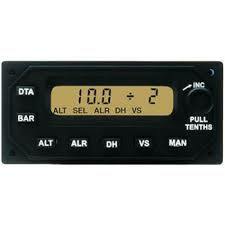 Vertical modes include altitude hold, altitude select, vertical speed, indicated airspeed and glidepath/glideslope. Lateral modes include heading select, navigation and approach. The robust hardware used in the GFC 600H system’s scalable architecture allows for both two-axis and three-axis configurations to support the flight features and handling characteristics needed for your helicopter. The stack-width integrated mode controller features a night vision goggle (NVG) compatible display and offers access to all flight control modes and functions. 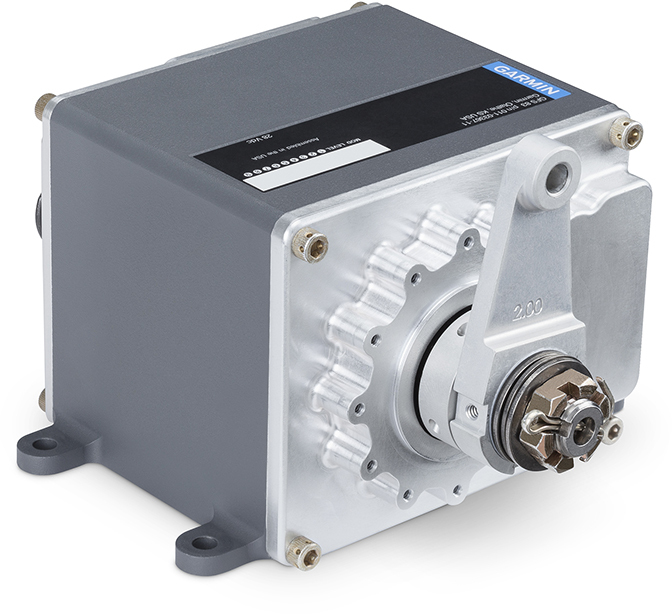 Integrated “smart” servos provide pitch and roll inputs as commanded by the system. The available third servo provides input for yaw axis control capability — which works to maintain heading while hovering as well as helping to keep your helicopter in coordinated flight while in cruise or as you’re making adjustments to the collective. 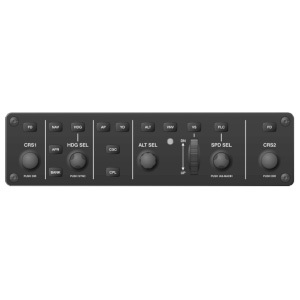 Digitally controlled speed and torque limits on these inputs allow faster, crisper and more powerful response — enabling GFC 600H to track the intended flight path with smooth efficiency.